This year the Furie is 100 years old and we plan to give more attention on this in the second half of the year. Currently we are busy with activities related to the replacement of the wooden deck. After we requested quotations we started with grant applications. Thanks to commitments of the Fonds Schiedam Vlaardingen eo, the Prins Bernhard Cultuur Fonds and the Elise Mathilde Fonds, a contribution by the NISS, the great result of the sponsor action and a contribution of the foundation, we have recently been able to give the green light for the start of the restoration. The iron work will be carried out by De Haas Maassluis and the carpentry by shipyard De Hoop from Workum. 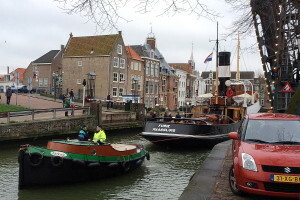 The Furie is currently at shipyard De Haas Maassluis and will probably remain there for some time. In April / May, we hope to start with our jubilee activities with a beautifully restored Furie.